Kids art parties in Chicago. Looking for a birthday party venue for your kid? Have an art party in our Chicago art studio! We host the best KIDS BIRTHDAY PARTIES in Chicago! At One Strange Bird, we have parties down to an art form. 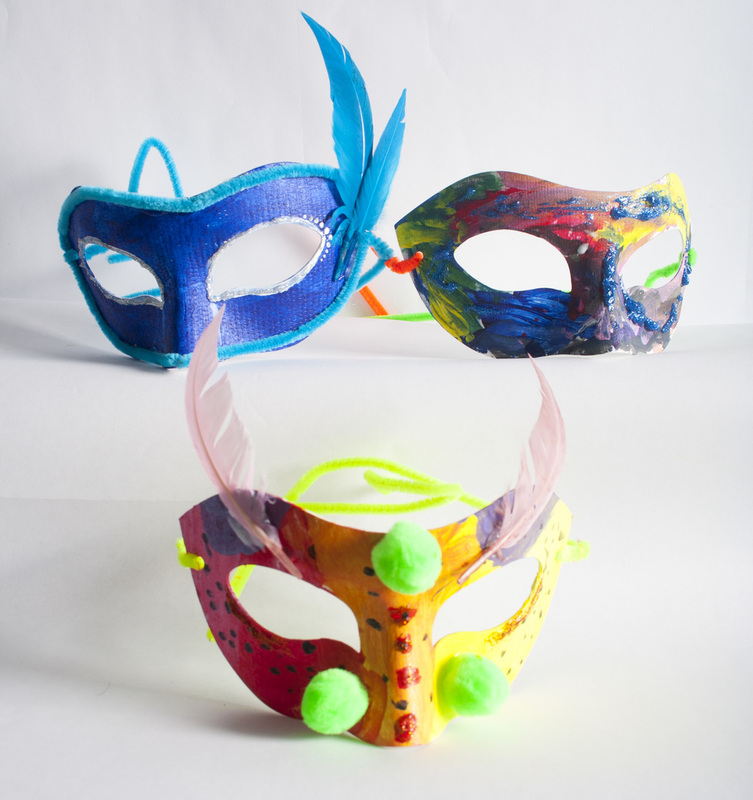 Choose from our fun art activities: collage, painting, or mask-making. With over 8 years experience, we are one of Chicago's favorite kid's party venues. Leave the mess to us and focus on fun. 2 hour art party with face painting and catering. *Guests cannot select more than one art or craft option. Change of art option 7 days before event will result in $50 fee. *Guests arriving late may have to be rushed in order to accommodate the studio's schedule. If the schedule allows, guests may extend party hours for an additional $50 fee per hour. *Guests must bring their own plates, napkins, and serving ware. We provide cake knife and server, mason jars for drinking, and ice bucket. Additional serving ware can be provided at an additional cost. Serving ware is included in adult catered party options.